With the first glance you get the whole picture of your classes and homework due. The Overview works in a real-time mode showing you only events closest in time. 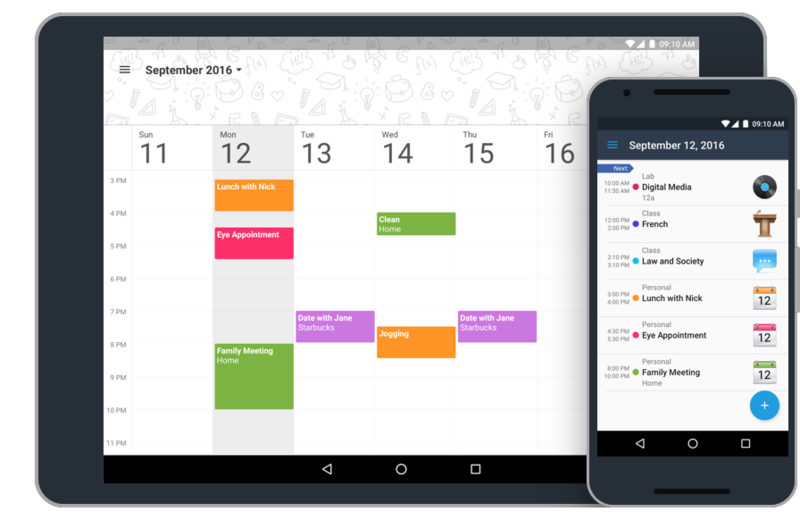 Tap any date in Calendar tab on phone and see the list of classes for that particular day. Quick edit of classes available straight from Calendar. Color coding dots in calendar reflect the number of classes for each day. Bold selected dates hint that there are assignments due for those days. The interface of the Week pane gives you the structured and neat presentation of your classes schedule. 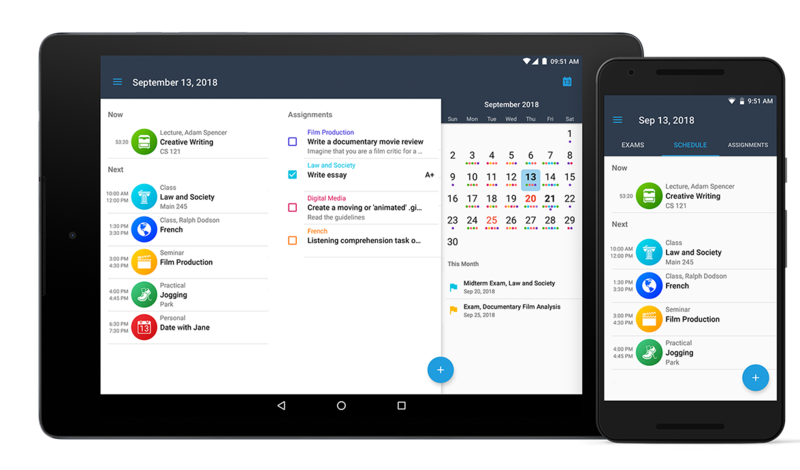 The app lets you easily manage all your homework and assignments. Assignments pane is a comprehensive tool to help you organize your academic work. Sort your tasks by date, course and priority, set due dates and track your marks or grades, in the Completed section. Quick access to edit the details of each assignment. This is where your schedule starts. Plan and manage your courses and classes details, locations, instructors info, holidays and grades. The list of subjects and optional courses, sorted by semesters. You can track your GPA here if you turn this option on in the app. Quick access to edit the details of each class. 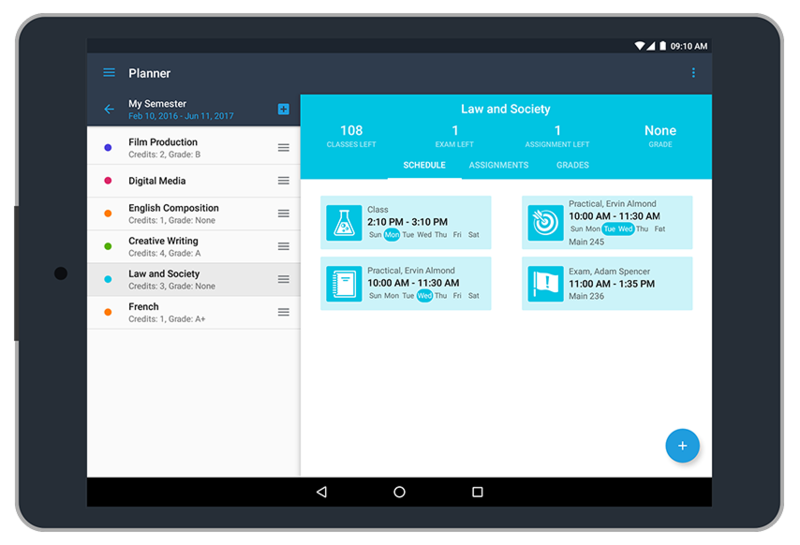 Android Calendar app events can be shown within iStudiez Pro, you can set it up in the app settings. 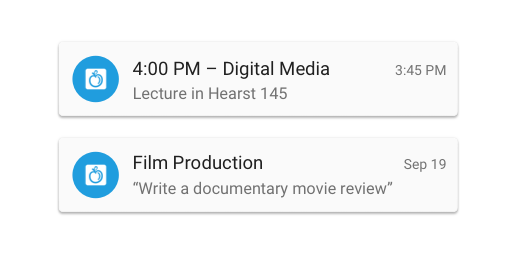 iStudiez Pro schedule in the Calendar app. 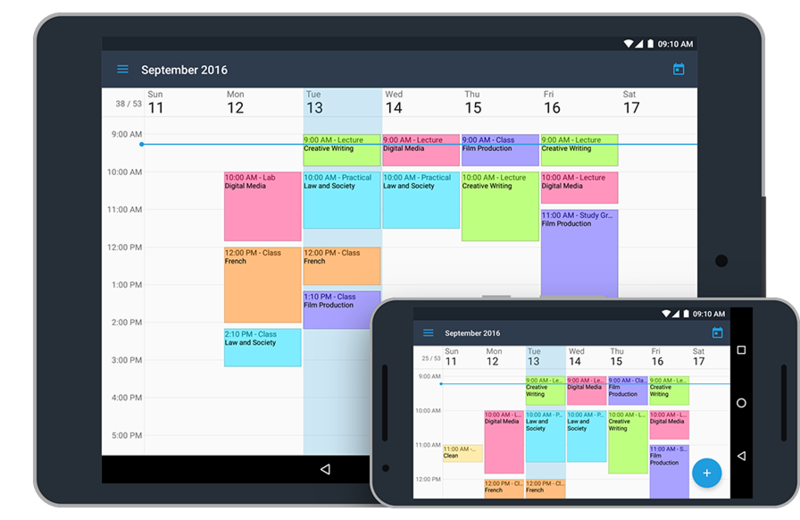 Calendar app events within iStudiez Pro. 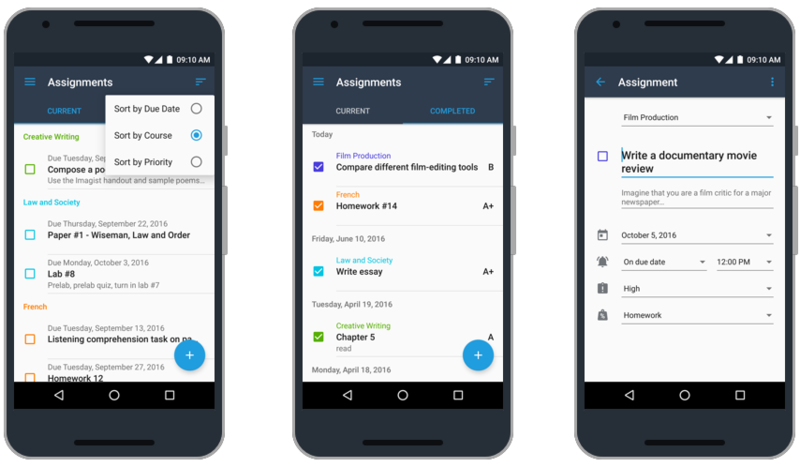 Catch your class or exam or assignment deadlines with smart notifications. Set notifications for all events and tasks. 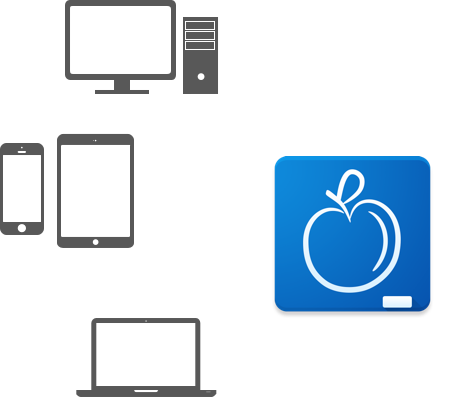 iStudiez Pro will take care you never miss any of those. 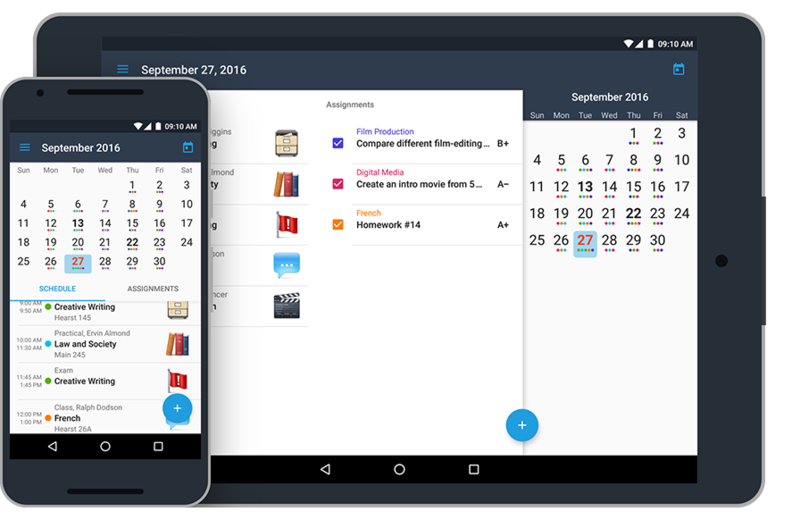 You'll see notification way in advance and stay organized, more than ever.